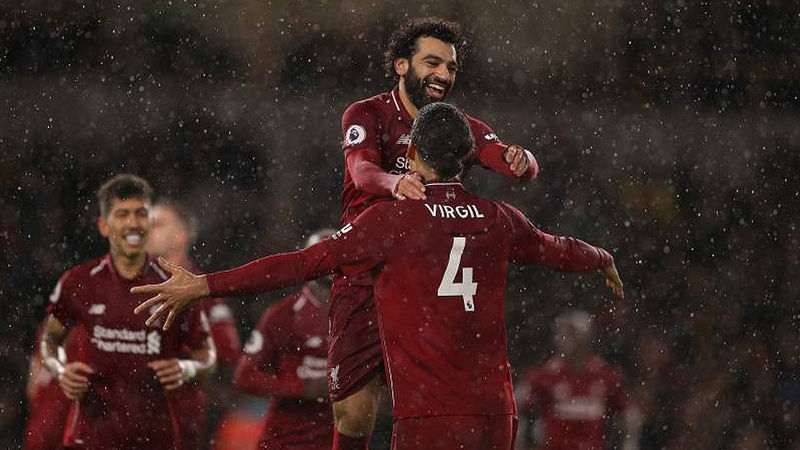 Liverpool extended their lead at the top of the Premier League to six points by beating Newcastle 4-0 this morning. Liverpool are unbeaten in their past 20 matches in December, winning their past nine in a row. Despite a third defeat for Newcastle in six games, they remain five points above the bottom three in 15th spot. Looking at other matches, Everton beat Burnley 5-1, Leicester defeated Man City 2-1, Man United won against Huddersfield 3-1, and Tottenham outclassed Bournemouth 5-0 while Brighton held Arsenal 1-all and Fulham also played a 1-all draw against Wolves.